Looking for an eye-catching and creative way to attract new business? Advertising inflatables might just be the solution you're seeking. 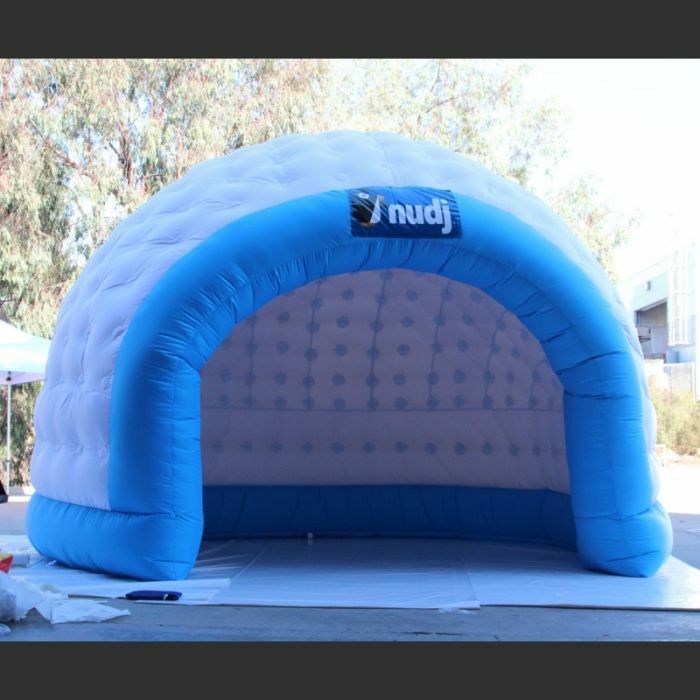 These creative air-filled advertising structures come in a variety of shapes and sizes and are bound to make a splash for your business and leave a lasting impact on customers both existing and potential. 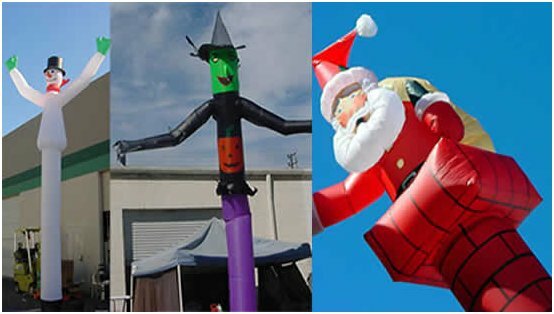 But if you're new to advertising inflatables, you may be confused about how they work and about the different options available. This post is intended to introduce you to the world of advertising inflatables, giving you a primer on what they are, how they work, and how they can help your business. What is an advertising inflatable? Simply put, an advertising inflatable is an air-filled structure which is branded with your logo or business information. 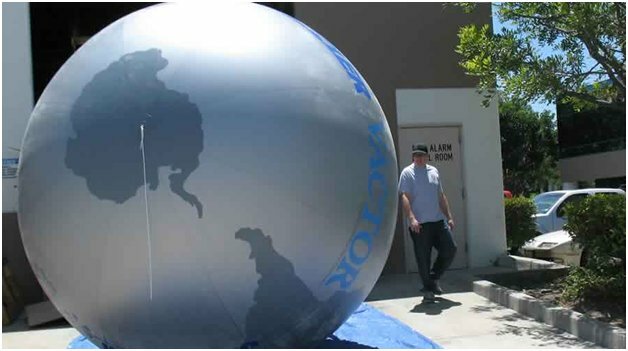 Within the world of advertising inflatables, the options are virtually limitless. 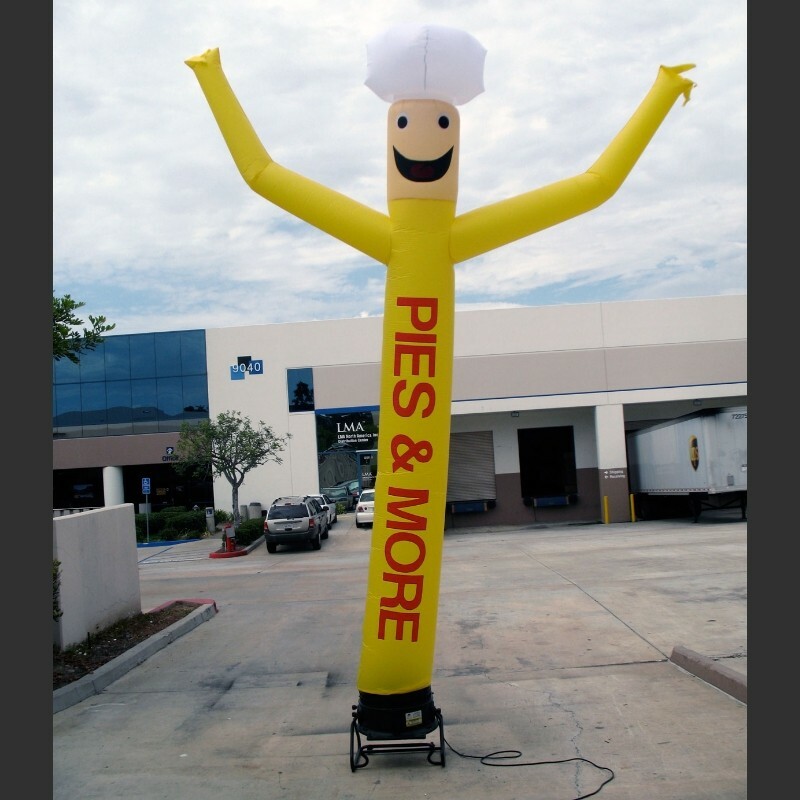 Some examples of advertising inflatables include blow-up hot air balloons, 3-D blow-up curb signs, and even wacky dancers or advertising tubes. 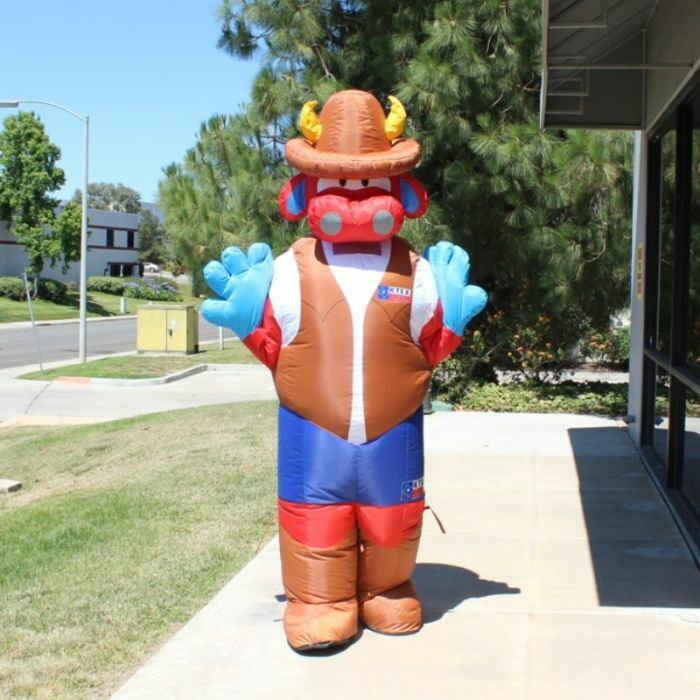 You can create a custom inflatable in just about any shape or size that will suit your business. 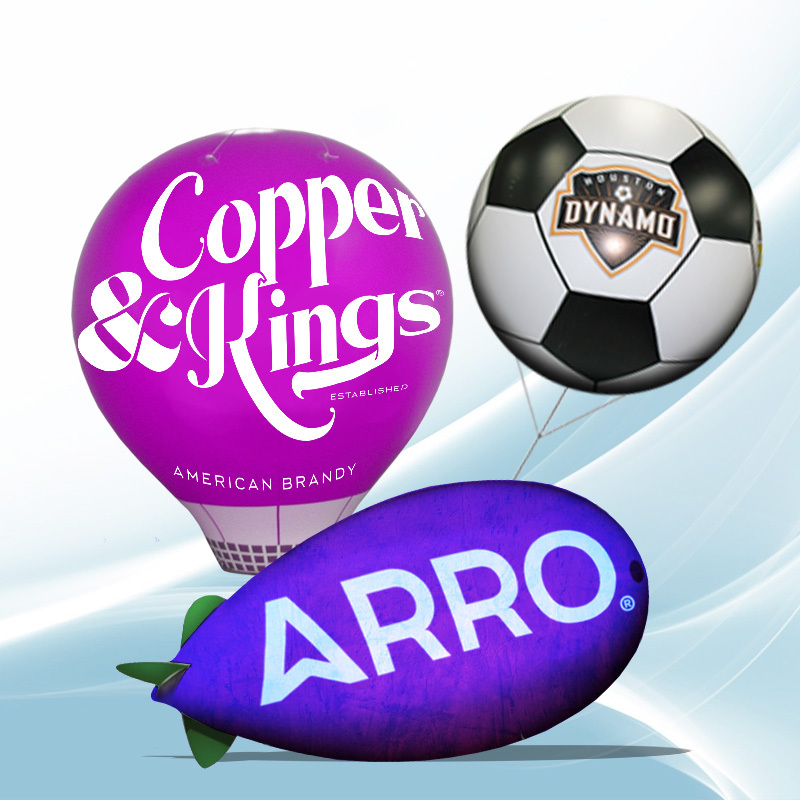 A cold-air inflatable is a stationary promotional item which can be created in a variety of different sizes, from about 5 feet tall to over 50 feet tall. A fan system runs continuously to keep the inflatable standing tall, and the item is tethered in place using strong straps. Cold-air inflatables can be set up very quickly, some items in just a few minutes; bigger or more complicated items may require a little more time. A helium-filled inflatable can resemble a cold-air inflatable in size and shape, but it is inflated using helium instead of using a constantly blowing fan. Gravity-defying helium can make your display float overhead, which makes it a great option for floats in parades, or for floating your advertisement high above your business so that people can see it from a distance. Blown up using air and then sealed, these inflatables are a perfect choice for point of sale displays. They're no more complicated than an air mattress to assemble and create an engaging display that doesn't require heavy machinery and can be set up just about anywhere. These buoyant costumes have a fan system installed which keeps the costume inflated, and also keeps the wearer cool (much cooler than a typical costume!). This way, your advertisement can walk around--literally. This is a great option for a mascot or character to promote your business at sports events, trade shows, and more. A creative take on the advertising inflatable, these ads literally dance, commanding attention from passers-by. They are similar to cold-air inflatables in that they run off of a fan system, but the design is formulated so that the inflatable will remain in movement even if there's no wind. Full of personality, these engaging ads are bound to draw people in to check out what you're selling. Why would I want an advertising inflatable? An advertising inflatable is an impressive structure, so it will lend an air of legitimacy and professionalism to your business. An advertising inflatable is a fun and engaging way to share your business with the public and is guaranteed to get people's attention. It is an advertising structure that can be very specifically tailored to your business, so it is an item that will reflect you and what you do as a company. Are there downsides to advertising inflatables? A city permit may be required to use some inflatables. Be sure to check what the rules are in your town before making your investment and putting up a display. If displayed outdoors, advertising inflatables are susceptible to the elements. If it's a very windy day, your inflatable can be whipped around by the wind. If it is raining or very sunny, the elements can have an effect on the material over time. 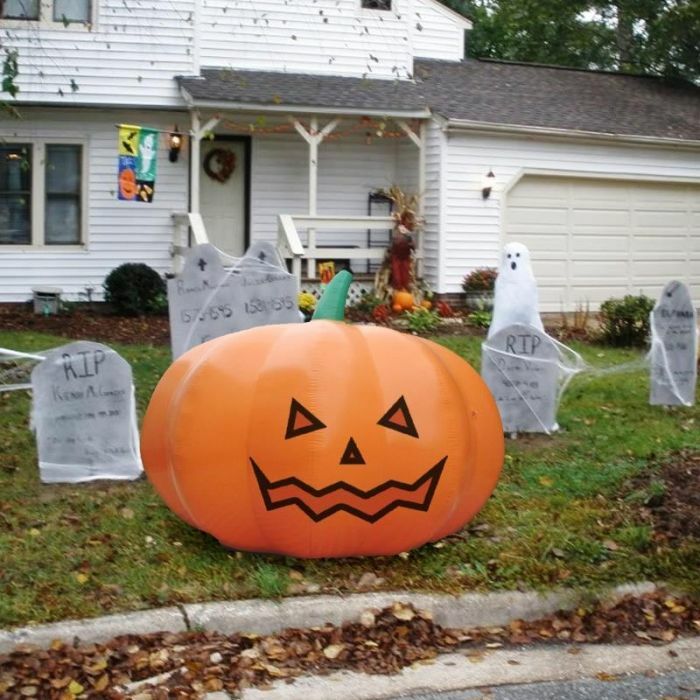 You'll need to make sure that you have ample and safe space to display your inflatable. What is the process of creating an advertising inflatable? Decide what type of inflatable you'd like. Browse the offerings on the Above All Advertising website to see what might be of interest. Reach out for a free quote via the site, and we'll get back in contact with you. Work with a graphic designer to create it, or work with our design team to figure out the perfect design for you. Submit the final art, and work with our team to settle on your layout. Once you place your order, just hang on and we'll do the rest! How long does it take to create an advertising inflatable? The production time can vary depending on factors such as how long it takes to create your design, how long it takes to approve your design and shipping times. For instance, a helium sphere will take about 20 days of production. A more involved or custom design might take a little bit longer. Conclusion: The decision about whether or not an advertising inflatable is appropriate for your business is ultimately yours. However, by offering this information and educating you on the many different types of advertising inflatables and their finer points, hopefully, you are better positioned to make a decision on what the right type of advertising is for you. Have you ever used an advertising inflatable?